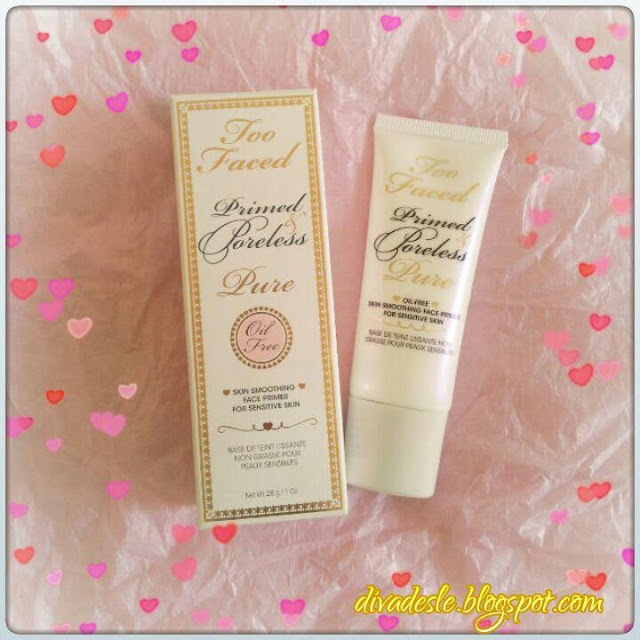 This week I will be reviewing a face primer from my favourite Sephora brand of life, Too Faced! If I could buy every product in the world from Too Faced, I would. I simply love this brand, from the cute packaging to the awesome variety of products. I have to be honest I was actually wooed into buying this primer from a very smooth male Sephora assistant in Qatar. He gave me a very sweet compliment and I was putty in his hands. He could have recommended toilet paper that's rough as sand paper to me and I would have bought it. Lol! Plus he filled my Sephora bags with so much samples I was like yes, this dude is a keeper. Any way I trusted his judgement even though it was due to shady reasons and bought the product. I am so glad I did because I am definitely not disappointed. The product is described as an oil free skin smoothing face primer for oily and sensitive skin. It claims to mattify the skin and reduce the appearance of fine lines and large pores. What attracted me most about this product is that it is aimed at sensitive skin. I have heard many horror stories of certain primers causing blemishes and breakouts. I really didn't want to take my chances with that so I opted for a product that seemed to have a gentle formula. 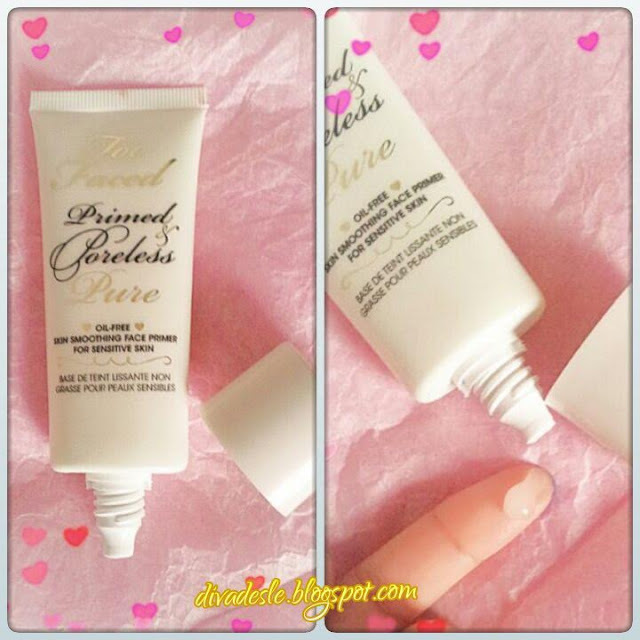 The primer comes in a 30ml plastic squeeze tube. It has a clear gel like texture that melts and blends easily into the skin. I usually squeeze a tiny bit onto my fingers and dot it around my chin, forehead and nose area and spread it outwards on the rest of my face. There is a significant change in my skins appearance once the gel is applied. My face looks a lot brighter and smoother. I just love the texture of this primer. It is very soft and feels like velvet on the skin. It appears to be very light on the face and creates a clear canvas for makeup. I usually wear my BB creams over this primer and on some occasions heavier foundations. The primer controls my oily t- zone very well under my makeup. I found that my makeup applied effortlessly over this primer and it didn't leave my face looking patchy, dry or having my foundation slide off my face as other primers tend to do. I love the fact that this product is paraben and sulphate free. It also doesn't have any significant scent to it which is great if you are sensitive to heavy fragranced products. This primer did not clog pores at all nor did it cause any sensitivity on my skin or break me out. After a long day I did see some oils coming through my makeup around my chin and nose area. If you have a very oily skin tone and looking for a completely mattifying primer then this one would be to weak for you. If you have dry skin or combination skin like me then you will find this primer to be of great value in keeping your makeup flawless throughout the day. Hope you found this review helpful ladies. Wow... Sounds great ! I always hear such good things about Two Faced, seriously need to try some of their products. Lovely review as always . Oooh Desle! I'm glad it worked. I didn't get this one, but the other primed & poreless. So I can't wait to try it with their new foundation. HAHA That guy had you going! I would've done the same thing. Excellent review! I love when I go shopping and the assistant gives me samples. I like to experience everything.